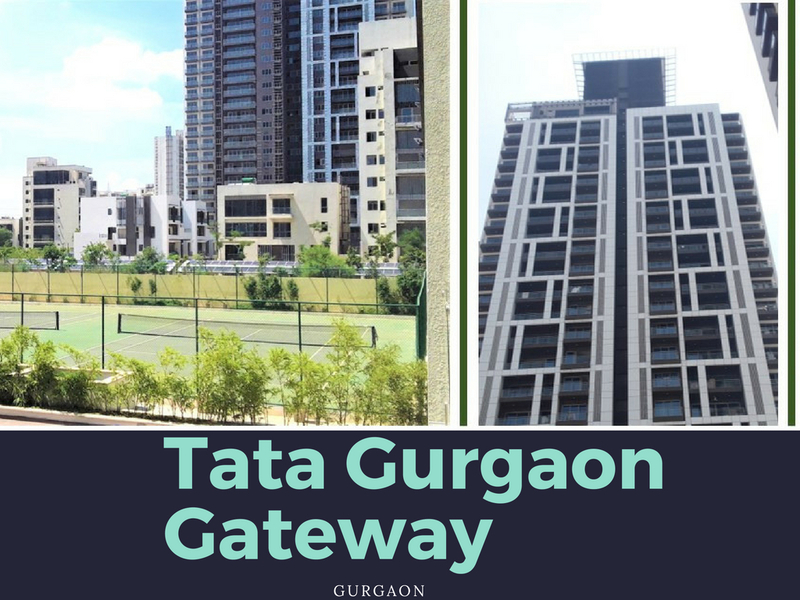 The latest name in luxury and comfort is the brand-new Tata Housing Gurgaon Gateway, a proud presentation of the Tata Homes group. The brand Tata is synonymous with the best quality that money can buy and this is true in their offerings in the realty spaces as well. No wonder then, each of their projects is a runaway success, no matter which part of the world it is in! Tata Gurgaon Gateway is located on Dwarka Expressway in sectors 112 and 113. This means that the property enjoys close access to the capital city of Delhi as well as to key areas of Gurgaon, all the way up to Manesar and beyond. The area is close to IGIA and the upcoming diplomatic enclave. There is a plethora of posh project here. Malls, hospitals, schools, markets, etc. are many in areas around here. The campus of Tata Gurgaon Gateway Sector 112 echoes vibrancy and is embellished with nature’s song. There are smart structures that seem to sit in the lap of greenery. The exquisite layout of the master plan shows well-defines areas for enjoyment, socialising, relaxing, health, and a lot more. There is a club house, swimming pool, gym, meditation area, gardens, and a lot more here. The campus covers 22 acres of pure bliss. There are only 820 apartments here, which means that there is a lot of openness. The homes are arranged in tall and handsome towers. They look smart and are spacious as well as luxurious. Tata Gurgaon Gateway Sector 113 has unique features like vertical gardens, BBQ area, spa and massage centres, Jacuzzi, reverse osmosis system in swimming pool, and relaxing cabanas to add the superb touch for getting pampered! 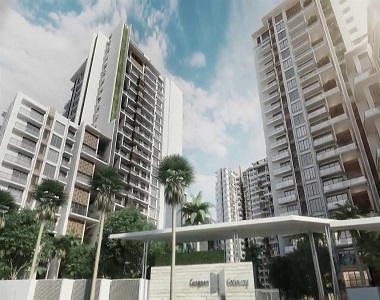 The area of the homes inside Gurgaon Gateway ranges from 1580 sq. ft. to 2925 sq. ft. These are well placed in the price range from Rs. 1.58 crores to Rs. 3.39 crores. Meant for the crème of the society, these homes nurture a stress-free and a fun-filled living for those who like to enjoy the finer things! 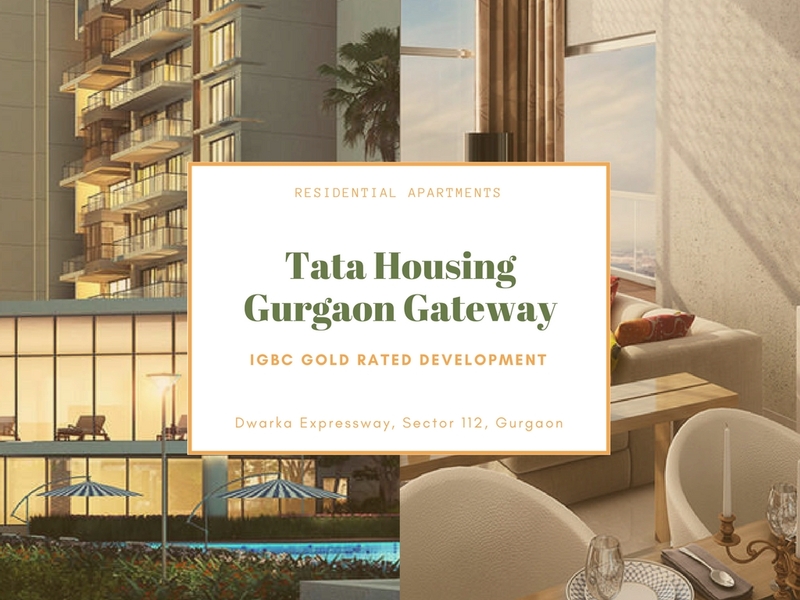 Tata Gurgaon is going to be a prized possession and a name that will take the owners here to higher levels in the society. The location is perfect, the quality of the Tata brand is fabulous, and the finish is sophisticated. With the proposed metro line coming up, life here is a breeze surely!